I wanted to design and knit a simple but interesting One Skein project that made the most of the features of the given yarn. The yarn in question was a 100g hank of Rowan Colourscape Chunky, a pure wool single ply yarn in muted light brown, blue, mint green and grey shades, harmonised by Kaffe Fassett’s amazing eye. The lower band and earflaps of this hat are knit sideways in garter stitch to provide both warmth and elasticity. 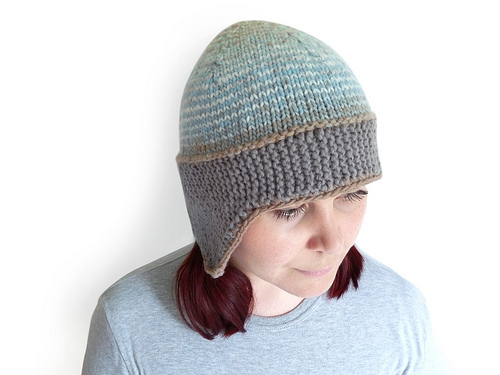 The top of the hat is knit in alternating stripes, knit either from both ends of a centre-pull skein or from the remainder of the yarn spilt into two smaller balls. The hat sits comfortably upon the head, not tight so as to result in too bad a case of hat hair, but close enough to stop chill winds from your ears. I have left my hat un-blocked, because I liked the slightly handspun look this yarn gave when knitted up, which I thought worked wonderfully with the two different knitted textures that make up this quick and enjoyable pattern. Very clever use of color changing yarn. 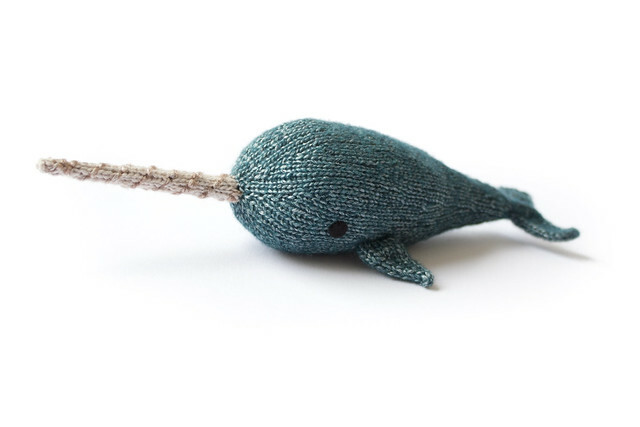 I’m always impressed by what you do with variegated yarn. That looks snuggly. I’ve a skein of this knocking about that needs using and I’ve not known what to do with it. Your pattern looks a great solution to my dilemma! I love the colorway, and the design really fits with the yarn colors.